As of January 2017, Prof. Stan Gielen will be appointed as Chairman of the board of the Netherlands Organisation for Scientific Research (NWO). 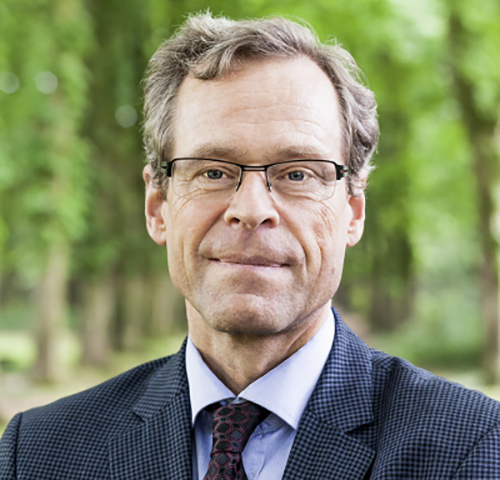 As chair of NWO, Gielen will also become a member of the ARC CBBC Supervisory Board. Gielen (1952) has a background in experimental physics and biophysics, and was previously employed as Professor of Biophysics at Radboud University. After obtaining his degree in experimental physics and his PhD in biophysics from Radboud University in Nijmegen, Stan Gielen worked at Utrecht University from 1980 to 1988 and during this time he spent periods in the United States at Northwestern University and the University of California, Los Angeles. In 1988 he was appointed Professor of Biophysics at the Faculty of Science at Radboud University and in 1995 this professorship was extended to include Radboudumc. In the past years he has been Dean of the Faculty of Science at Radboud University. He was and is active in a wide variety of committees and organisations, he was the initiator of the Foundation for Neural Networks and he is the co-founder of spin-off company SMART (Statistical Modeling and Artificial Reasoning Technology). At a national level his curriculum vitae includes his appointment as director of the Donders Institute for Brain, Cognition and Behaviour, chair of the board of the Dutch National Institute for Subatomic Physics Nikhef and chair of the supervisory board of the Netherlands Research School for Astronomy (NOVA). In an international context Gielen has been a member of the Executive Board of the European Neural Networks Society and the Life Science Working Group of the European Space Agency. In 2009, he was elected as member of the Royal Netherlands Academy of Arts and Sciences (KNAW).